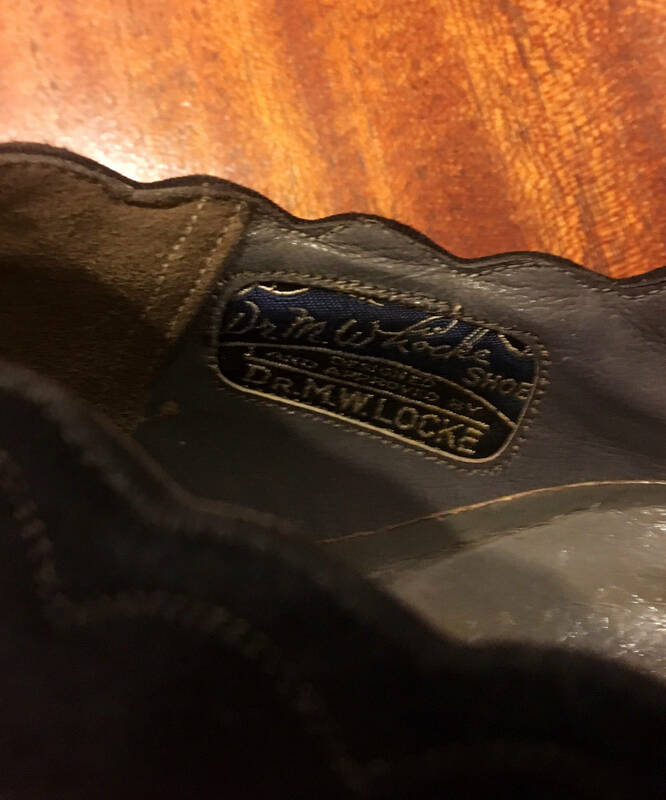 Beautiful lace up black suede by Dr. M. W. Locke. The edges are scalloped on the top. 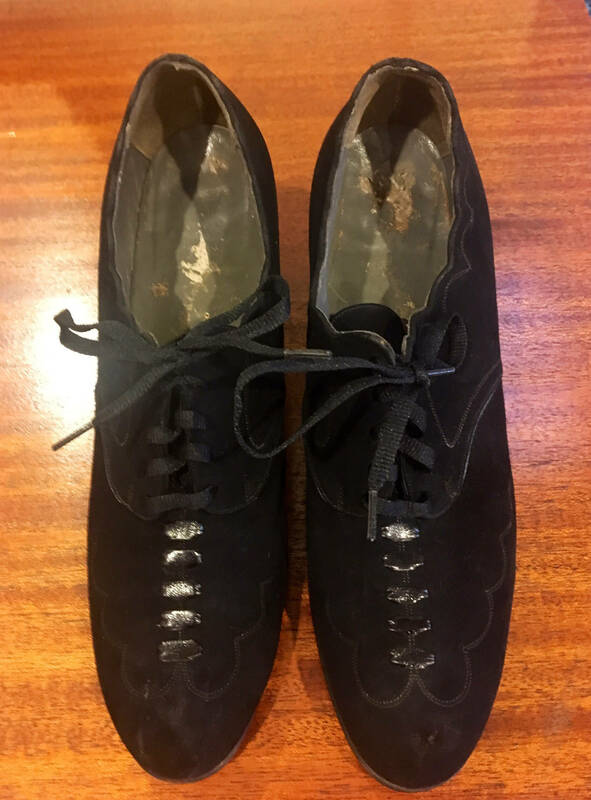 Cute faux shiny leather laces on the top. The shoe also has a scallop design on the front part of the shoe. 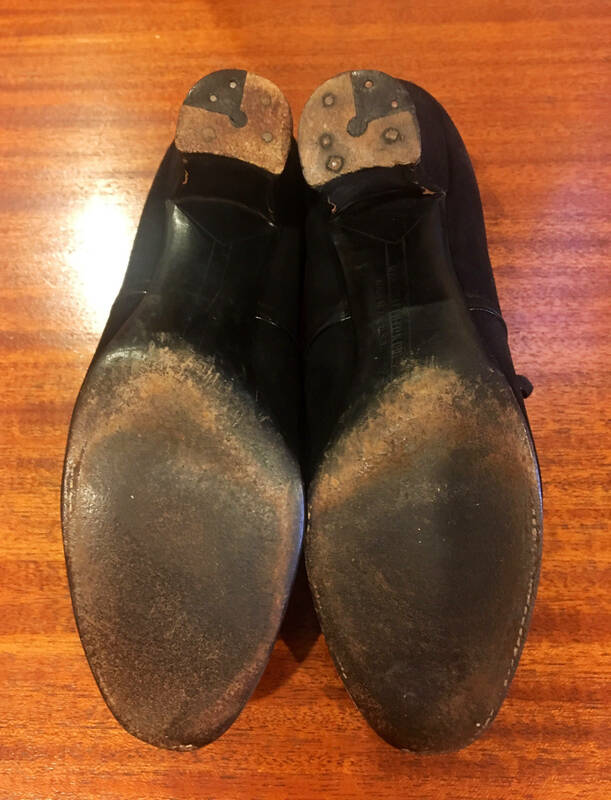 The bottom soles are marked "Marshall Field & Co. Made in the U. S.A."
CONDITION: There is one pin prick mark on the front of one shoe. Otherwise the suede is strong with no scuff marks. 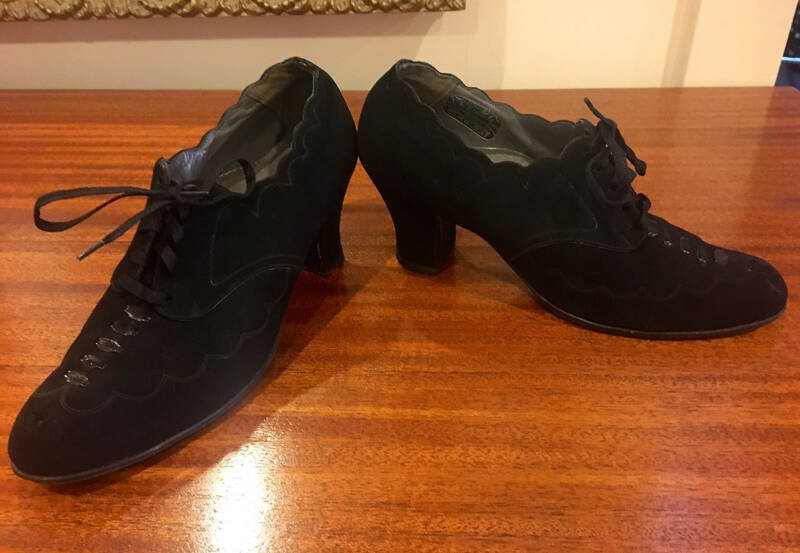 The heels are in perfect condition. The bottoms shoe wear but very minor. I am rating these as being in EXCELLENT MINUS condition. The laces are in perfect condition as well. 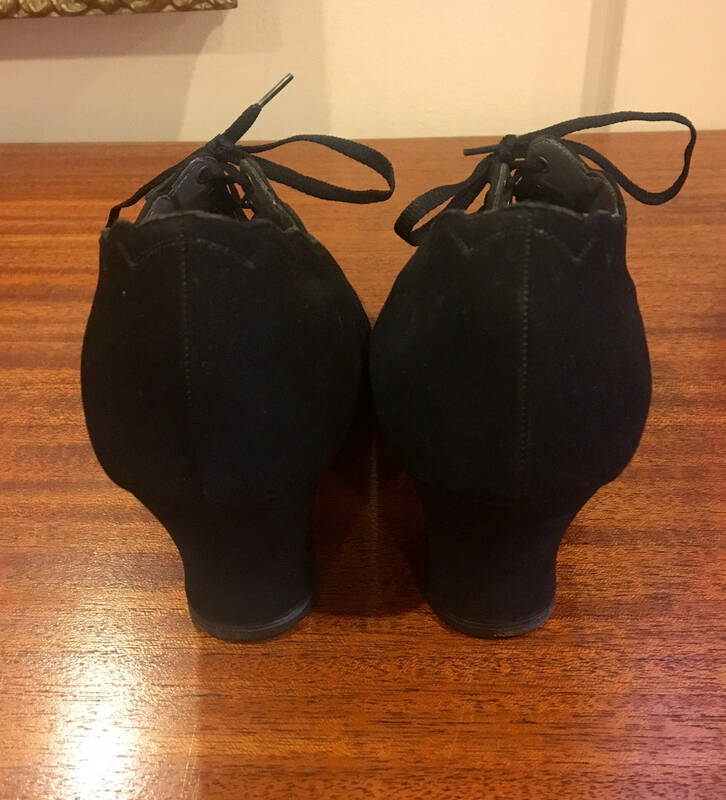 Inside from heel to toe: 10"